We are always finding great materials in our Art and Artists Files at the American Art and Portrait Gallery Library and we’re excited it to share it with the public. In our mission to provide greater access to our ephemera files, we are working on adding our corporate files to the Art and Artist Files database. The corporate files contain ephemera (catalogues, pamphlets, exhibition invitations. etc.) produced for group exhibitions by galleries, museums, and other institutions. This of course is a long process, requiring a lot of review of materials in the folders, but it has been a great way to rediscover items that we didn’t know we had! 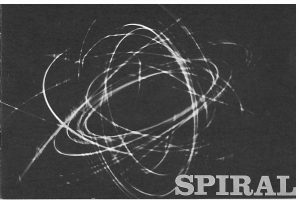 Spiral unfortunately produced only one exhibition in 1965 two years after they were formed, but it was an exhibition that represented the variety within their group both in style and opinion. 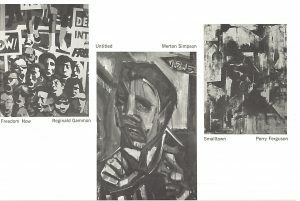 We were delighted to find that within our vertical files we had the exhibition catalogue that accompanied show. 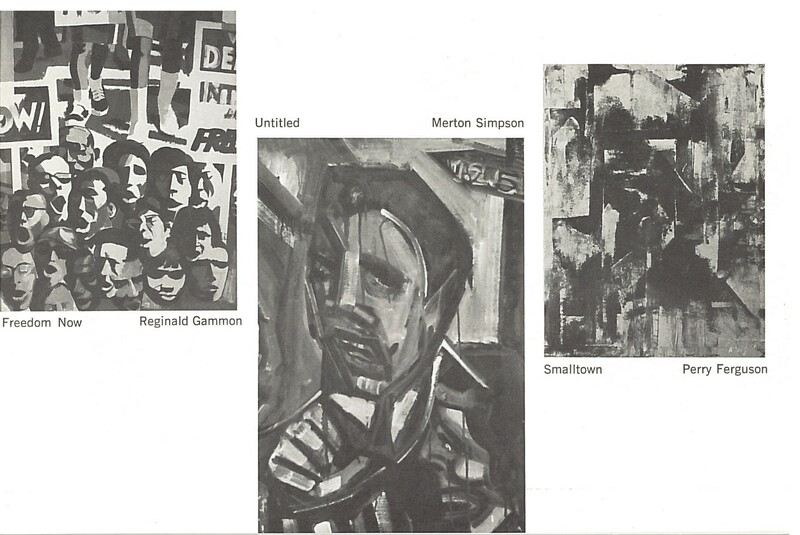 The catalogue includes images of the art that was on display, as well as biographical information and snapshots of the artists that participated in the show. The forward to the catalogue, though brief, discusses their formation and intent while giving an insight into the African American artist community and their desire to use their skills to further the Civil Rights Movement no matter what their opinion was. It is treasures like these that emphasize just how important ephemera is to constructing timelines of events in an artist’s career or the formations of an art movement. 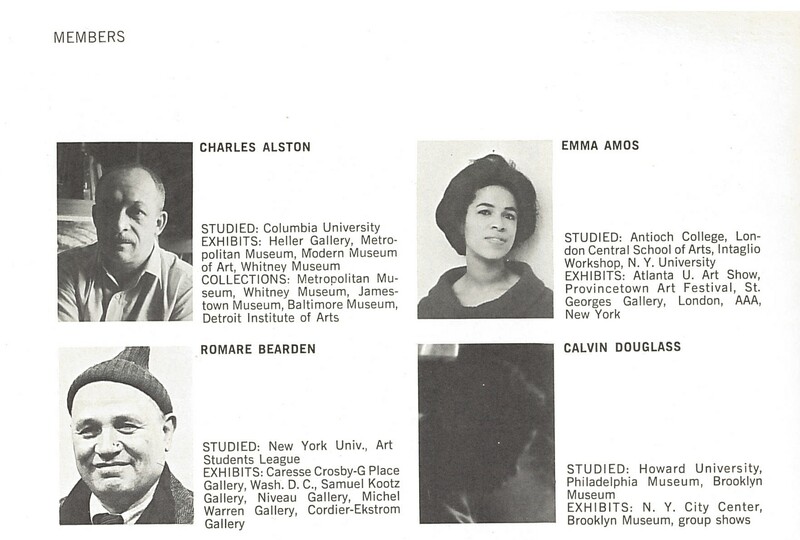 For more information about Spiral, take a look at this post on the Tumblr page of the upcoming National Museum of African American History and Culture that delves deeper into the artists of this collective. 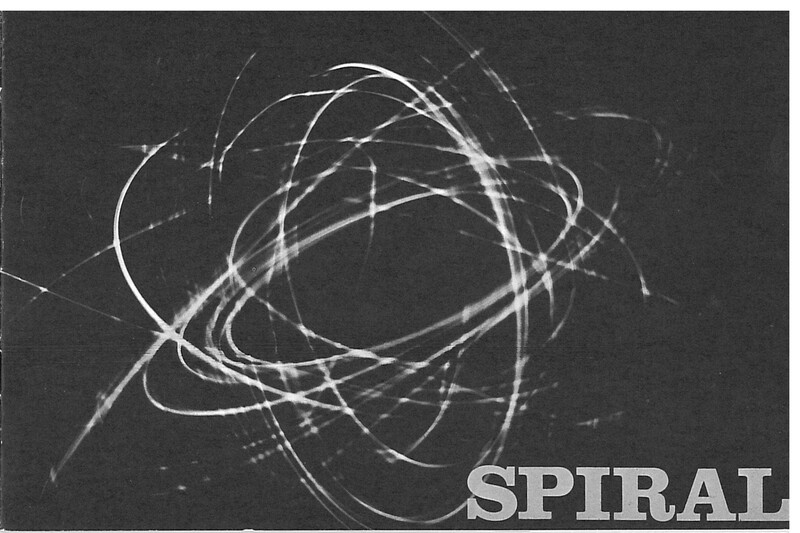 All quotations come from the forward of the Spiral exhibition catalogue. on display from January 18, 2016 – September 18, 2016 .